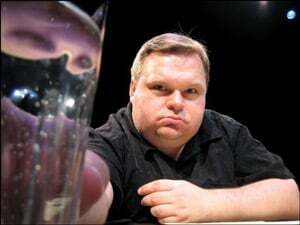 The WaterTower Theatre’s headliners for its 2010 Out of the Loop Fringe Festival will include controversial solo performer Mike Daisey — best known in drama circles for his monologue, How Theatre Failed America. Daisey has performed it around the country, he’s been a guest on the Late Show with David Letterman, he’s written for WIRED, Slate and Salon and, heavens, even been heard on NPR. At the OOTL, Daisey will be performing his series, Great Men of Genius, concerning the recurrence of talent and brazen ego in Bertolt Brecht, P.T. Barnum and others. In addition, he will perform How Theatre Failed America but for one night only. Immediately following the performance the WaterTower will hold a public discussion panel featuring area stage performer Denise Lee, Dallas Theater Center artistic director Kevin Moriarty, WaterTower artistic director Terry Martin — and me. I’ll be playing MC. Also in the festival: Seth Rudetsky, one of the great Broadway queens — music director, Emmy-nominated TV actor, radio host (Sirius/XM’s Big Fat Broadway), author and on-camera vocal coach (MTV’s Legally Blonde). Rudetsky is practically unable to speak a sentence without adding “I’m obsessed with that!” He’ll perform his own one-man show, Broadway Seth Rudetsky Style, featuring, among other things, a demonstration of why Patti LuPone can sing show tunes and Madonna can’t, plus quite a few backstage tales from Rudetsky’s gigs as a show pianist. If you’ve never seen or heard Rudetsky, you can get a remarkable if idiosyncratic education in Broadway technique from his YouTube channel. And speaking of hitting high notes in big theaters, the final weekend of the 10-day festival will feature The Three Redneck Tenors and their new show, Broadway Bound. As much a comedy act as a singing act, the cousins have dragged their trailer to Times Square and now want to find the perfect starring vehicle for themselves. Funny, I’d think Li’l Abner would be the obvious choice. These are three of the headliners. More info will be coming. 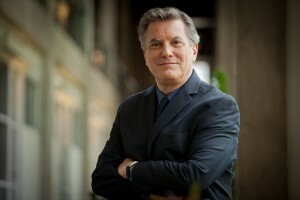 The festival runs March 4-14. Tickets are currently on sale by phone at the WaterTower box office, 972-450-6232.